Dimensions 0.50 by 5.75 by 5 in. 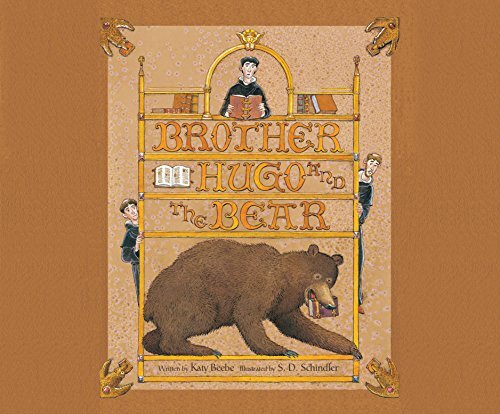 Amazon.com description: Product Description: Brother Hugo can't return his library book - the letters of St. Augustine - because, it turns out, the precious book has been devoured by a bear! Instructed by the abbot to borrow another monastery's copy and create a replacement, the hapless monk painstakingly crafts a new book, copying it letter by letter and line by line. But when he sets off to return the borrowed copy, he finds himself trailed by his hungry new friend. Once a bear has a taste of letters, it appears, he's rarely satisfied! Includes page turn track: 12 minutes. About: Brother Hugo can't return his library book - the letters of St.